We are a leading Singapore-based Chatbot developer and Chatbot-As-A-Service provider. With recent advances in Natural Language Processing and Artificial Intelligence, along with the growth in popularity of messaging apps, chatbots are set to revolutionise the way businesses interact with users. We are here to help you with chatbot development to be at the forefront of this revolution. We build omni-channel Chatbots, including Facebook Messenger Chatbots, Facebook Workplace Chatbots, Telegram Chatbots, Slack Chatbots, Web-based Chatbots through our proprietary web widget and Mobile App-based Chatbots. We can also integrate into many other messaging platforms as required. Chatbots are simply programmes which respond automatically to text messages. The response can be in the form of text or actions, for example, setting an appointment, finding out the weather, booking a restaurant table or buying a product. The number and types of actions are limitless. Chatbots are a personalized way to engage your users. As part of RobustTechHouse, we have vast experience in web and mobile app development. The development of a useful chatbot that users will love involves not only careful thought about how to communicate well with users, but strong technical competence to integrate with other services and systems. "RobustTechHouse has a reliable, professional and friendly team that develops robust web and mobile applications that they promised. They will proactively go over and above their call of duty to add value to your ECommerce and Mobile-Commerce needs. I had a very positive experience with them and would strongly recommend them." "RTH is a very professional and innovative company, and we are very happy to have chosen RTH as our software development partner. During our engagement, RTH developed a good understanding of our requirements, and successfully implemented the vision we had for our website & app. RTH shows great commitment to their customers, and is a great company to work with." "Our experience with RTH was very positive. The team was highly professional and used effective tools in managing the project. They were proactive and frequently provided good recommendations to help us further improve on our website. We look forward to working with them on future projects." "It's been a fantastic experience working with RTH. Their developers were able to fully appreciate complex needs of Zestora, our mobile solutions app for pain conditions. They were able to help us identify ways to make the user interface intuitive and make the app work smoothly. The end result exceeded the expectations of our team and customers. They are also very responsive to changes and support requests we made. Best of all, their pricing was far more reasonable compared to developers of similar quality." "RobustTechHouse is great in both IT development and knowledge of financial instruments. They are very responsive, committed, professional and collaborated very well with us for our mobile app development project. We trust the RobustTechHouse team and look forward to fostering a growing relationship with them." Recently created a chatbot and want to get it featured on our blog? Drop us a note ! As you can tell from our blog, we love to play around with the latest chatbots and keep ourselves abreast of the latest developments in the chatbot world. We would be happy to review your chatbot, particularly if it is Singapore-based. Feel free also to drop us an article about your bot as a guest post. For guest posts, we would also greatly appreciate a back-link from your website as well. 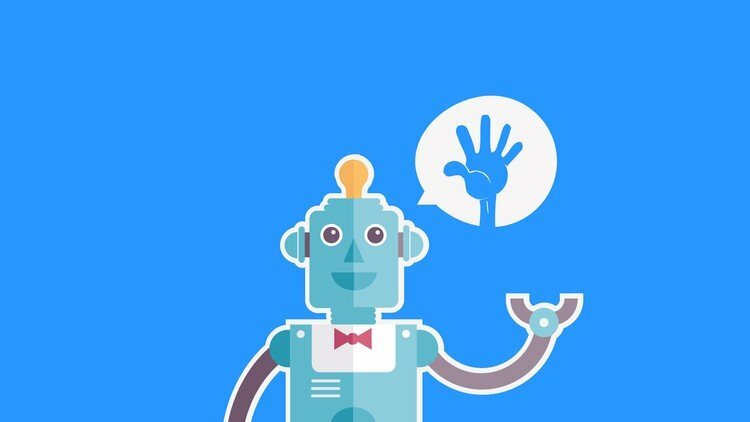 Drop us a note and let's chat about chatbots !